Protier Lifting Services provide comprehensive inspection & testing services, utilising decades of experience with modern testing facilities. Protier aim to provide its customers with a complete and competitive service, offering quick turn around without compromising safety, quality or integrity. Our engineers are continuously assessed and trained in all aspects of our industry ensuring our customers get the most professional service using the latest standards. Our modern testing equipment is regularly assessed and serviced to ensure safety and precision throughout all inspections and testing. We have facilities for testing up to 500t on various test rigs & live weights. We also offer a comprehensive fully certified NDT service (Non Destructive Testing), such as MPI (magnetic Partical Inspection) which can be done in conjunction with load testing. 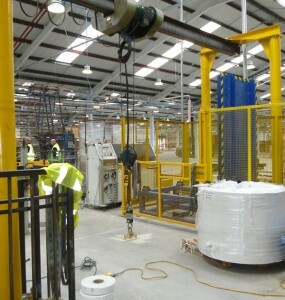 Protier Lifting Services offer complete on site testing services. We offer services on site from Thorough Examination / LOLER Inspection through to on site load testing & NDT, this is accompanied with complete reports and tagging of equipment. These services can be done quickly and unobtrusively ensuring minimum down time to our customers.